Just before Thanksgiving, outgoing lame-duck Baltimore County Executive Don Mohler is about stick a corporate welfare fork right in the taxpayers’ wallets with a turkey of a deal for Tradepoint Atlantic. Serving up the sides of stuffing and beverages the vanishing middle-class taxpayers will be forced to consume is Councilman Todd Crandell, whose legislation 86 – 15 silenced the public’s input regarding this lavishly funded meal for the corporate elite. What is especially egregious about the corporate welfare for TPA is that the wages of the middle class been stagnant since 1975; meanwhile, almost 50% of people living in the United States pay no taxes at all. 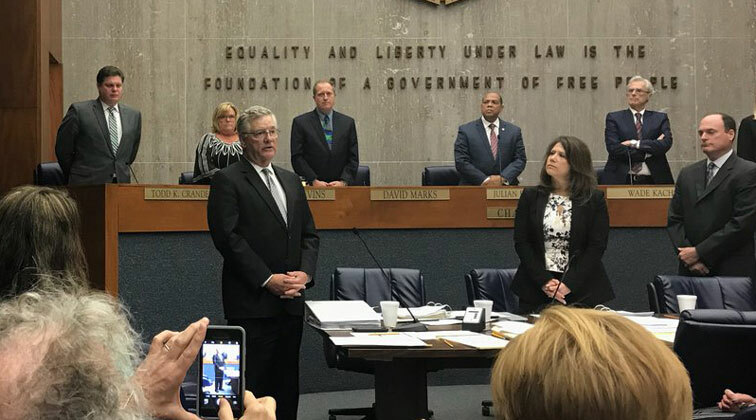 So while Baltimore County is facing a crumbling infrastructure, failing schools, and an increase in crime and violence, outgoing Democratic County Executive Don Mohler, in the final days of his administration, is turning his back on the people he swore an oath to serve. It is increasingly apparent that “we the people” will not be invited to the holiday feast. The sad part about the gobbling up of taxpayer funds is that it is not an isolated incident. Rather, there are several other instances of the council’s feeding frenzy concerning the middle class. Here is another sad legacy left behind by the current Democratic administration concerning the education, or lack thereof, of a particular class of students—the homeless. But fear not, for those lost souls will have brand-new $1,500 laptops in their hands, even if they have no place to plug in the computers. There is a very similar incident taking place with another company associated with TPA–Amazon. Owner Jeff Bezos just feasted on the taxpayers of New York and Northern Virginia. Anyone can see these turkeys by viewing the above video clip. Just transpose the locations and characters to Baltimore County and you have the same gobbledygook. Here’s another take on the same subject from the Wall Street Journal. Even on the other side of the aisle, The New York Times takes a similar stance on this corporate cronyism and welfare. 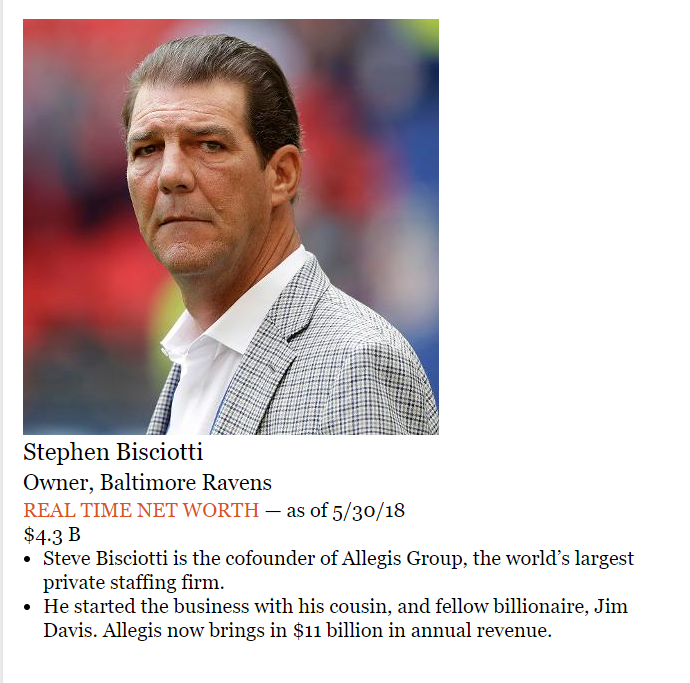 Sitting at the head table for the holiday feast to be served at our expense are Baltimore Ravens owner Steve Biscotti and his cousin, Jim Davis. The photo below shows other dinner guests who will be gathered around the piles of wasted taxpayer dollars. Under the proposed agreement, which must be approved by the County Council, Baltimore County would reimburse Tradepoint Atlantic for up to $34 million in road construction costs and up to $44 million in water and sewer infrastructure. Before we proceed with more of the goodies on the menu, let’s do some simple math. First off, TPA bought the old RG steel mill for pennies on the dollar in a bankruptcy sale, according to The Daily Record. In addition to that windfall, TPA scrapped what was left of the old steel mill and sold off the metal for another estimated $300 million. Can someone explain to us again why two of the richest men in America need our hard-earned tax dollars to ingratiate their bottom line? This whole concept of corporate welfare goes against the grain of risk versus reward. The taxpayers will be taking all the risk, while TPA leaches all of the rewards. There are a couple of issues with that verbiage, which could cause some bloating for the taxpayers who are fed this leftover swill. The so-called third-party is actually hired by the county to shill for whatever project floats the county’s boat (but sinks taxpayers). The Post took a look at the so-called third-party, and we found a company called RKG Associates. According to our research, the company is located in Alexandria, Virginia and is not listed with the Better Business Bureau. 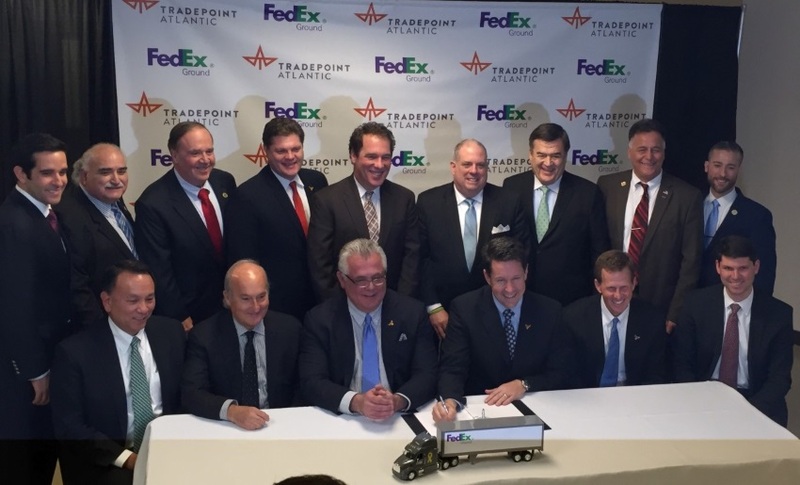 FedEx, Amazon, Under Armour, Pasha Automotive, Gotham Greens and Perdue are among the companies that already have opened or signed leases for new facilities at Tradepoint Atlantic in Sparrows Point. While it is true that FedEx is open and operating out of TPA, the total number of jobs offered is around 300, which includes both full and part-time. As for the other companies, Pasha Automotive provides somewhere around 150 jobs, while Gotham Greens employs around 60 workers. Purdue is planning to build a grain storage facility that will provide 25 new jobs. Taking all of those proposed jobs into account, we still see a number that isn’t close to the one TPA is touting. A lease agreement has been signed and executed. For the second time, we reached out to the same spokesperson at UA who had asked us to change our headline, which we refused to do until they provided a copy of the signed lease. We called the contact on November 15, 2018, but we have not received a return call. This is rather perplexing since the spokesperson from UA previously said they wanted to be sure that the truth was published. As our readers can clearly see, we made an honest attempt to verify and get the truth, but UA did not honor their agreement. Another of the Big Apple publications, The New York Post, also believes the taxpayers are being fleeced by Amazon in the same way we here at The Baltimore Post feel the taxpayers of Baltimore County are being served a big fat turkey stuffed with corporate cronyism and welfare. In an attempt to gain the pulse of the county council, the Post attempted through an intermediary to get a comment from Councilman David Marks. Apparently, he was too busy cooking this bird to comment. The Post also interviewed Delegate Rick Metzgar, a Republican representing the 6th Legislative District in Eastern Baltimore County, pertaining to the TIF financing. Mr. Metzgar could not provide any answers for a host of our questions. Finally, Senator Salling and Delegates Robin Grammar and Bob Long round out the public officials serving as waiters for TPA’s chowdown on our tax dollars. 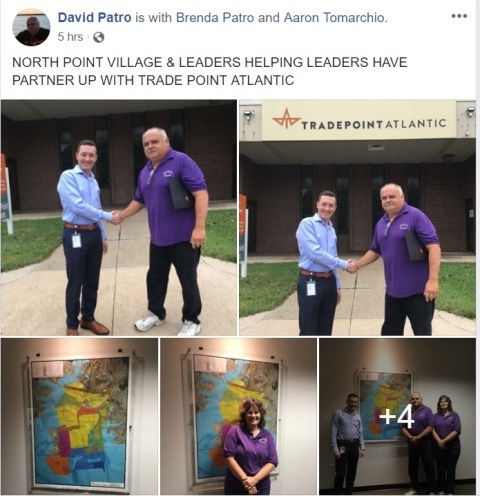 When Mr. Dave Patro, the president of the Northpoint Village, was first interviewed by the Post regarding his support of this holiday turkey, he stated that, while he was not familiar with the details of the huge financial commitment by the county, he felt that just one positive job gain would be worth investment. Since that interview, we sent Mr. Patro the complete study and the projected propaganda put forth by Baltimore County in order to give him a chance to make an informed decision. We have not received a reply from him, either. So, in the end, we the people have a turkey that’s been cooked, though no one exactly knows how long it’s been in the oven. Yet the people of this county voted to keep the same old same old in power. On a final note, while Crandell and Mohler put this turkey in the oven, it will be the new County Executive, John Olszewski, Jr., who decides whether or not to serve this tasty meal to TPA. Let’s see just how committed to the taxpayers Johnny O is, shall we?